We are delighted to invite all Causeway members and invited guests to join us for our launch in Northern Ireland at the magnificent Belfast City Hall. Causeway fosters closer economic ties across Scotland, the Republic of Ireland and Northern Ireland, by providing a high level forum for businesses to build relationships and expand their networks. At this launch Causeway will explain the benefits of membership to Northern Ireland’s thriving business community and establish a programme of activity to sit alongside that taking place in Scotland and the Republic of Ireland. 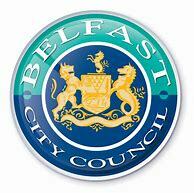 Thanks to our main sponsor for the night, Belfast City Council. Entrance will be from the courtyard at the rear due to the presence of the Christmas market at the front of the City Hall. Eugene is a founding director of Causeway - Ireland Scotland Business Exchange, he has worked with other directors and committee members to establish the organisation, develop its governance procedures and deliver the events programme. Eugene was born and raised in Belfast and is very enthusiastic to establish Causeway in N Ireland. He is also one of the founding directors of Smith Scott Mullan Associates an architectural practice, based in Edinburgh, delivering high quality design projects throughout Scotland since 1995. He is an Architect and a qualified Urban Designer, with a particular interest in the effective regeneration of neighbourhoods and creation of successful places. He has significant experience of residential design across a range of tenures, most recently in design for older people and those with dementia. Eugene applies his significant organisational and leadership skills to the design industry and local community organisations. He is a founding director of The Crags Centre, an Edinburgh based social enterprise and was Secretary of the Cross Party Group on Architecture and the Built Environment in the Scottish Parliament for ten years. Peter is one of The McAvoy Group’s Offsite Construction specialists. He joined the business in 2003 and is responsible for the Group’s growth across Ireland and Scotland and is the strategic contact for cost consultants, architects, contractors and Public Sector bodies. A Chartered Builder, Peter has more than 15 years’ experience in the offsite construction industry, working across a range of sectors including healthcare, Education, residential and infrastructure. Social Democratic and Labour Party Councillor Donal Lyons was nominated as a Councillor to represent the Balmoral Electoral Area in 2015. He is currently the Chair of the City Growth and Regeneration Committee and a member of the Council’s People and Communities Committee, Brexit Committee and Planning committee.